…. what an interesting set of foods these are. I had never heard of Jamu kunyit before attending the Exploring Food as Medicine workshop at Grow Lightly Food Hub today. And I learnt a lot more about the other foods. It was a hands-on workshop led by Leanne Langkopf, Becky Banks and Lucy Evangelista, looking closely at the milk kefir grains and tasting the various flavours of water kefir. My favourite was a lemon and chili flavour. We were able to take home a kombucha scoby to make our own kombucha. And we were blown away with the taste of the Jamu kunyit or Turmeric juice. We were also able to take home some water kefir grains and milk kefir grains. These foods are probiotic and are credited with strengthening the immune system, improving digestive health and mental health. If you are interested in these foods come into the Grow Lightly Food Hub and ask if we have any water kefir grains, milk kefir grains or kombucha scobies. We will try to get them for you. It may take a few days. When you have these probiotic starters they multiply and you will be able to pass some on to others as well. There is so much to learn about and explore in this wonderful arena of food and health. One of the best things about eating seasonally is the distinct bursts of flavour you get with each new season. Right now it is the taste of citrus. There really is nothing like it – the sweetness of a navel orange with the juice just dripping from it. But the taste isn’t the only reason to eat seasonally. 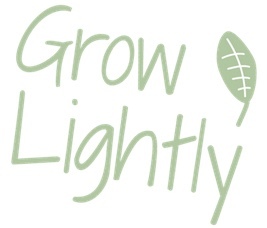 Grow Lightly has a commitment to sustainable use of resources and the building of a resilient local community. In particular, we seek to encourage local food production and distribution using organic methods and sustainable agricultural techniques. And this means that the food we eat is harvested just before it is sold and thus it has a higher nutritional value. It is cheaper when it is in season and at Grow Lightly everything we sell fresh is in season. And it is better for the environment as well. Find out more and share our knowledge about food plant varieties which grow well in Southern Gippsland, including native Australian food plants. 2. Combine garlic and soft warrigal greens in a processor and blend until consistency is like running cream. 3. Add nuts and parmesan and then oil and salt and pepper to taste. You can add more oil if necessary. Recipe adapted from the Beelarong Community Farm website. We had our inaugural meeting of the Grow Lightly Book Club last night and it was so good. Some lovely people came and shared their books, and thus a bit of themselves, with us. At the end of the meeting we decided to continue meeting monthly on the first Tuesday of the month at 7.00 pm. And all are warmly welcome. The books ranged widely in topic but all were so interesting and all prompted discussion. These are the books that were discussed. Other formats discussed were blogs, television and podcasts which are also good. I do hope you enjoy this selection of books to nourish you and that it inspires you to come and share your treasures next month on the first Tuesday of October (October 3, 2017 at 7 pm). Have you read any of these books? What did you think? if you have suggestions for great books to read and why, please leave a comment.